We anticipate thousands of visitors to the website during the life of the Greek Node of the Millennium Project, all with a special interest in Strategic thinking. In addition, you will reach our followers through future events and communications. 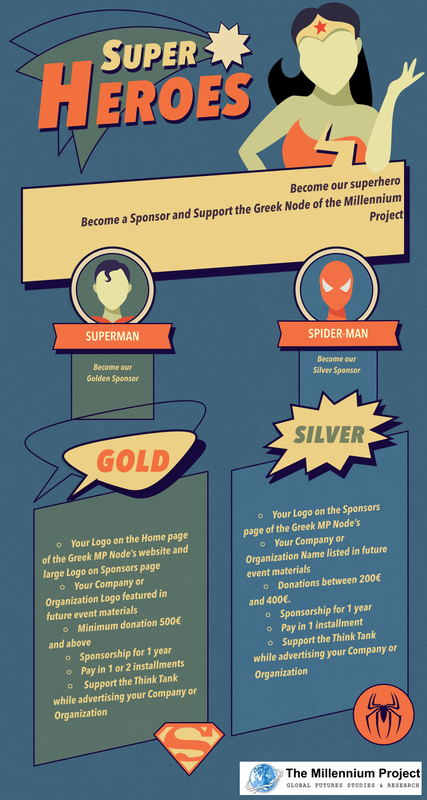 Support the work of the Greek Millennium Project while benefitting from advertising your Company or Organization.